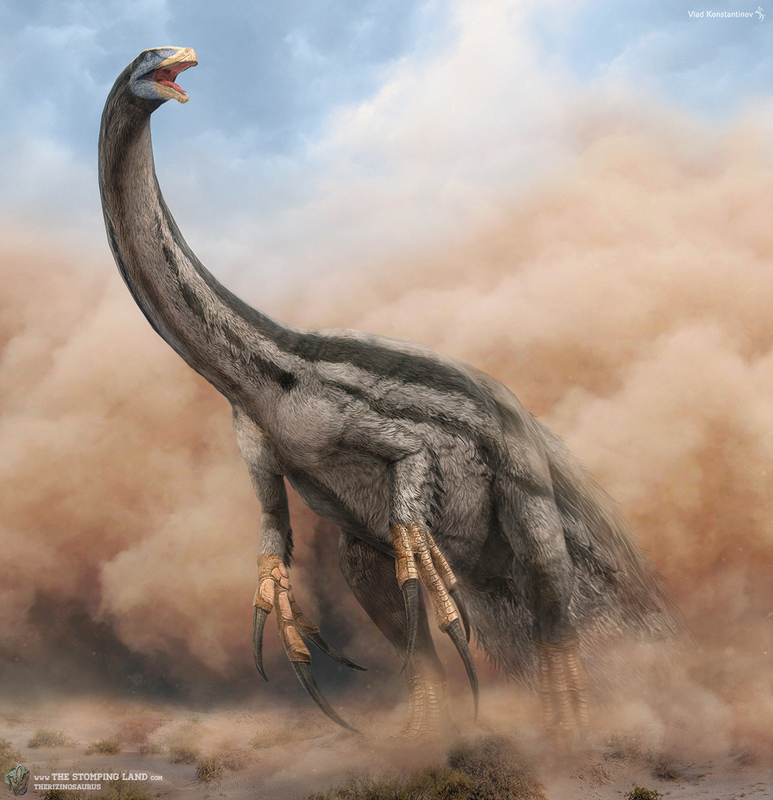 Therizinosaurus is a dinosaur which lived during the late Cretaceous Period—about 77 million years ago. 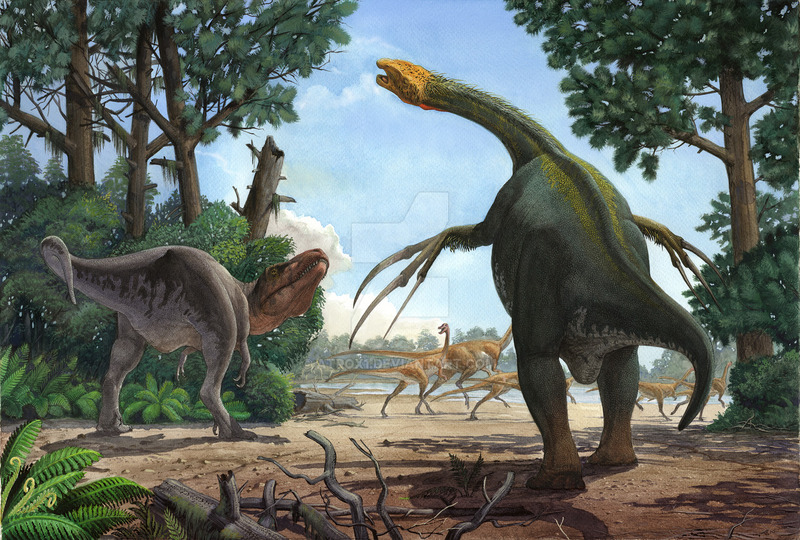 It was a dinosaur that was about 33 feet long, 10 feet tall at the hips and weighed around 3 tons. 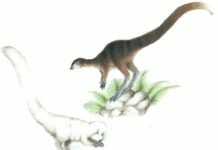 These animals are believed to have had really small heads that sat atop very long necks and is known for having fearsome claws on its front legs. 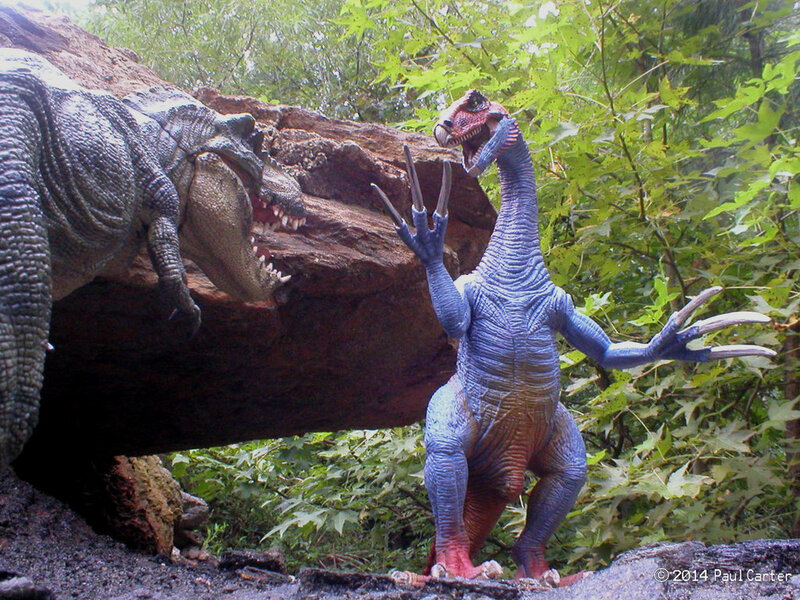 Its two foot long claws are some of the biggest claws ever found on any animal. 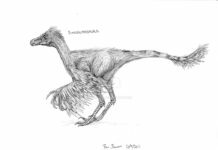 Therizinosaurus was first discovered in 1948 by a Soviet- Mongolian fossil expedition in Southwest Mongolia. 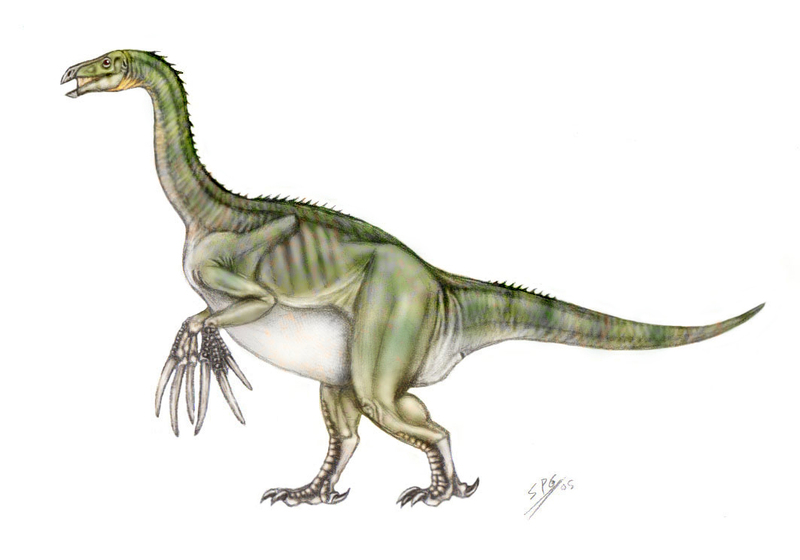 This expedition found several claws which they presumed to have belonged to a turtle-like reptile. 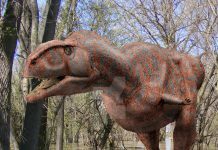 This would remain the popular belief until 1970 when Anatoly Konstantinovich Rozhdestvensky came to the conclusion that this species was a dinosaur and not a turtle. 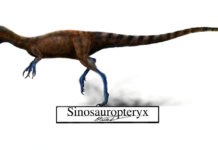 This dinosaur isn’t without some controversy, however. 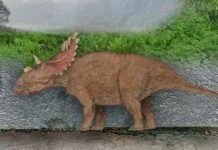 Because the fossils of this dinosaur have been found without the skull, some paleontologist can’t agree whether this dinosaur was an herbivore or a carnivore. 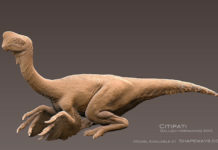 It has been asserted that the claws of this creature obviously means that it was a carnivore, but this has been contested by paleontologist who say that since this dinosaur was a member of the therapod family, then it must have been an herbivore. 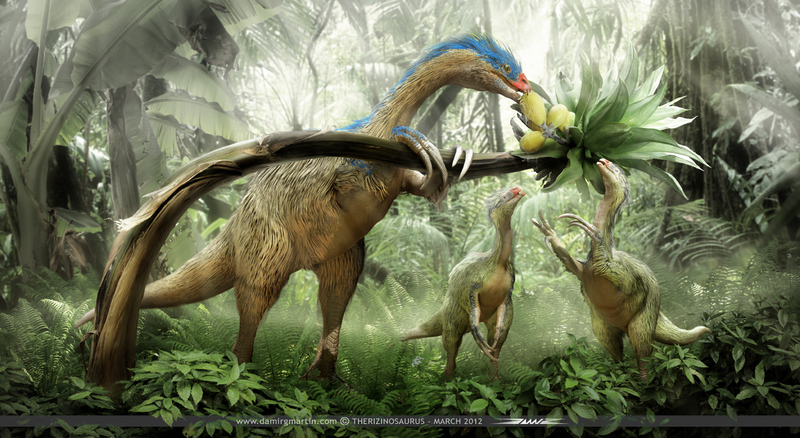 The fact remains that no one really knows what this dinosaur’s diet was like.